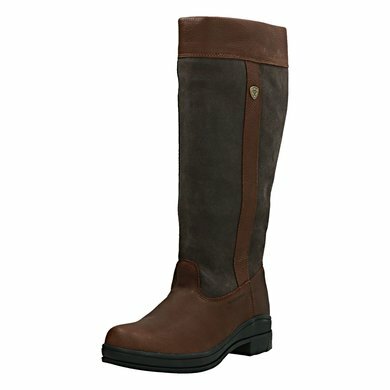 The Ariat Windermere are ideal boots for the outdoors. 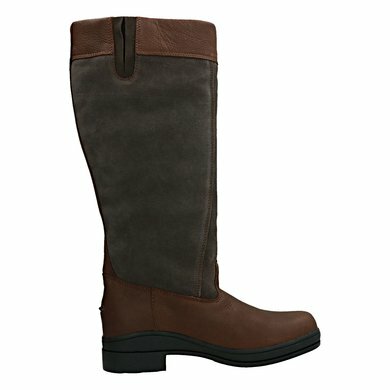 The boots have a classic country look. 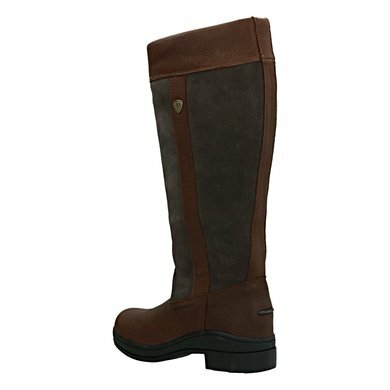 The waterproof suede leather exterior makes the boots a stylish performer in wet weather. 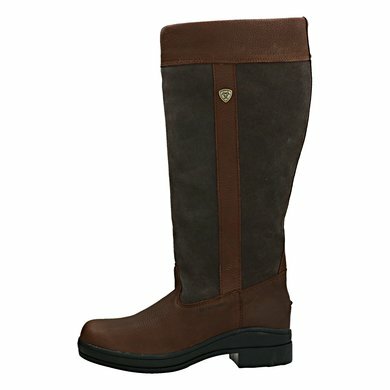 The boots are fitted with a stirrup friendly footbed, anti slip and acid resistant Duratread outer sole. 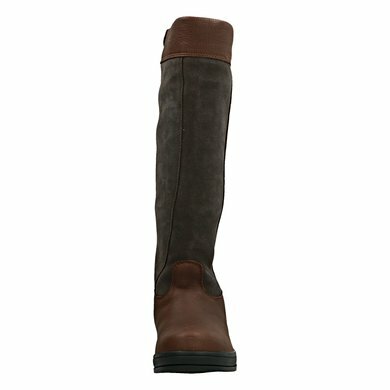 The boots are very suitable for spontaneous rides or for long walks. 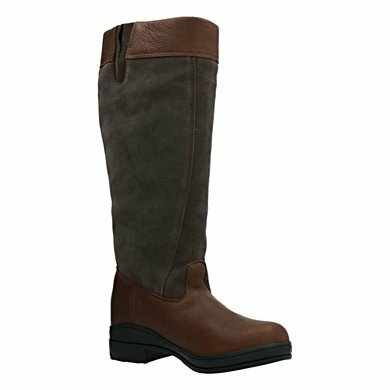 The boot is available in FM which stands for Full Medium and in RM which stands for Regular Medium. This is Medium for the highest and is Full or Regular the calf size. Full is a broader size than Regular. Lovely boots with a good fit, they were like a cast. They run like clouds! My mother borrowed them one day and she also sold them completely. If this pair is worn out, I will definitely buy a new pair again! Fine boot, is nice with a good footbed. The regulair fit just suits me and I have a normal size calf. 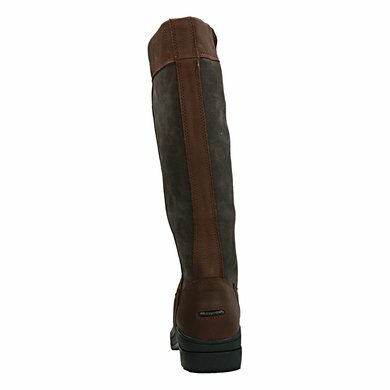 So if you have slightly thicker calves than I recommend ordering the wide shaft. I ordered them a half size smaller as my usual size. 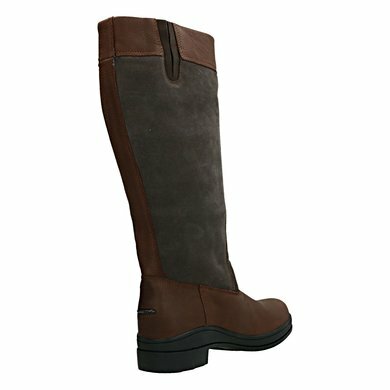 Fine boot for walking or doing work around the barn. Only drawback is the pulling out of the boot because there is no zipper in the boot. Meanwhile to the third couple. Eventually they wear out, but they keep it noticeably longer than a cheaper version! Question: What is the difference between size 36FM and size 36RM?